Nissan is a Survivor, The list is short, but a tenacious one. These are the survivors, the last of the midsize body-on-frame sport-utility vehicles. 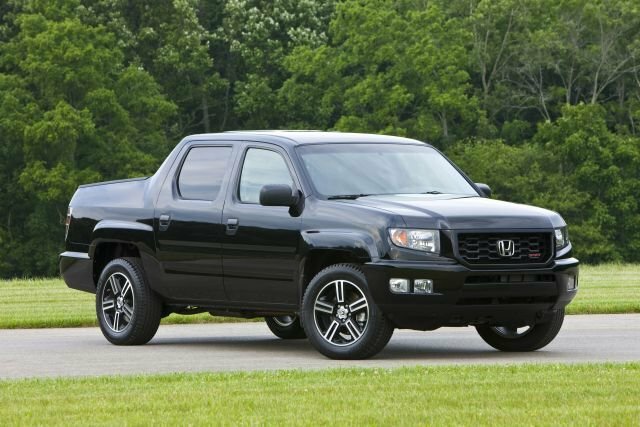 Their truck-tough design once defined virtually all Suburban Vehicles. By the mid-2000s, car-type crossovers had replaced nearly all of them. (Some seminal names, such as the Nissan Pathfinder and Ford Explorer, were even retired and resurrected as unibody designs.) Today, they seem best suited to big jobs like heavy towing. But as the particular talents of the vehicles in this roundup make clear, there’s still a role for these classics. Arranged alphabetically, this buying guide highlights key changes and attributes for model-year 2015. Please note that fuel-economy numbers cited represent EPA combined city-highway ratings. And base prices include the manufacturer’s delivery fees, usually around $900. The modern-day descendant of the original 1940s military vehicle continues for 2015 in standard two-door and extended four-door Unlimited versions. Updates include an eight-speaker audio system as standard and a nine-speaker/subwoofer Alpine unit as newly optional. Now included with every model is a Torx tool kit for removing the top, doors, and bumper end-caps. A new Sport-model option package brings 31-inch all-terrain tires on “Black Steel” wheels. And the Rubicon replaces its off-road-chomping Rubicon X with the similarly capable but fancier Hard Rock special edition. 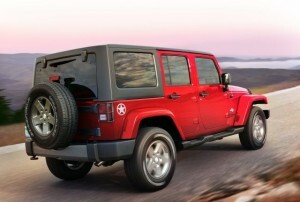 Every Wrangler continues among the best off-road vehicles, yet one that can double as an adventurous urban convertible. 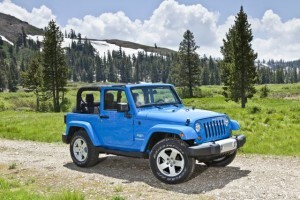 Indeed, the Unlimited is the only four-door soft-top on sale in the U.S. With all this ability and that unique image, however, comes an unrefined demeanor by modern-vehicle standards. Amenities such as heated front seats, a navigation system, and power windows are available. But it’s go-anywhere suspension dictates a jolting ride. It’s difficult to climb into and out of. The two-door wants for rear-seat room and cargo space. And the convertible top is difficult and time consuming to open and stow. On the plus side, both the top and doors on either version can be removed for a full open-air effect. A removable-panel solid roof is also available, but it does little to stifle intrusive levels of wind and road noise at higher speeds. The sole engine is a 285-horsepower V-6 that delivers decent acceleration. Transmission choices are a six-speed manual or a dated five-speed automatic. Four-wheel drive with low-range gearing is standard and while it comes with serious off-road technology, such as locking front and rear differentials on some models, on all it must be disengaged on dry pavement to avoid drivetrain damage. 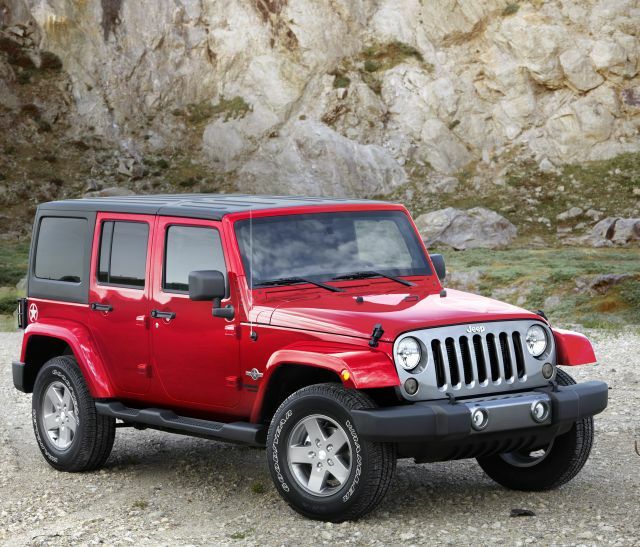 Every ’15 Wrangler configuration rates 18 mpg combined. 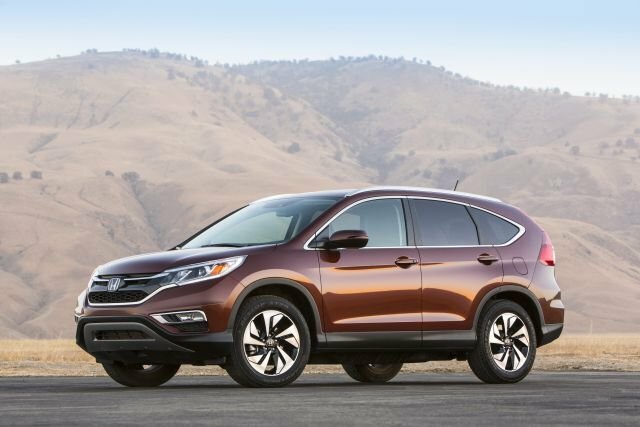 A daunting array of trim levels and option packages is available in both body styles, including Sport, Willys Wheeler, Sahara, and Altitude grades. Among those models, base-price range is $23,790-$33,190 for regular-lengths, $27,590-$36,990 for Unlimiteds. Rubicons start at $32,690, or $36,490 for the Unlimited, with the new Hard Rock flagships priced from $37,190 and $40,990, respectively. Add $1,350 for automatic transmission, though it is also included in various option packages. Today’s design dates from 2007. The next all-new edition is due for 2018. It’ll be lighter and smaller, with aluminum body panels, likely a turbocharged four-cylinder engine, and possibly a diesel option. Sources say it’ll retain solid axles front and rear, though whether it’ll adopt a unibody design is uncertain. Consider this Nissan’s Land Rover LR4: tall, boxy, at home off-road. Of course, Xterra plays in a much lower tax bracket. It’s relatively unadorned and celebrates a certain youthful brawn – with ride comfort and on-pavement road manners be darned. Base X, midline S, and trail-ready Pro-4 X versions return. All have five seats and a 215-horsepower V-6. X and S are available with rear-wheel drive or four-wheel drive; the Pro-4 X is 4wd only. In a cheerful throwback, the 4wd X and the Pro-4 X are available with a six-speed manual transmission. A five-speed automatic is optional on those mentioned and standard on other Xterras. Fuel-economy ratings are 18 mpg combined with rear-drive and 17 with 4wd. For ’15, the S gains the NissanConnect interface with a 5-inch dashboard audio display, USB and iPod linking, and Bluetooth phone and music-streaming. It’s a minor update to a vehicle last redesigned for 2005 and facing an uncertain future. 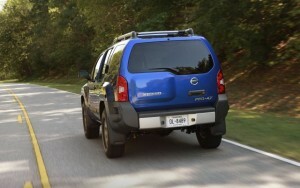 Xterra is based on the previous-generation Pathfinder platform, which is no longer produces for the U.S. market. Only the automaker can say when and if a replacement or update is in the cards. As for the ’15, it continues with decent acceleration but awkward handling. The Pro-4 X is available with leather upholstery and a navigation system, but prissy features like lane-departure warning and a rearview backup camera are missing in action. 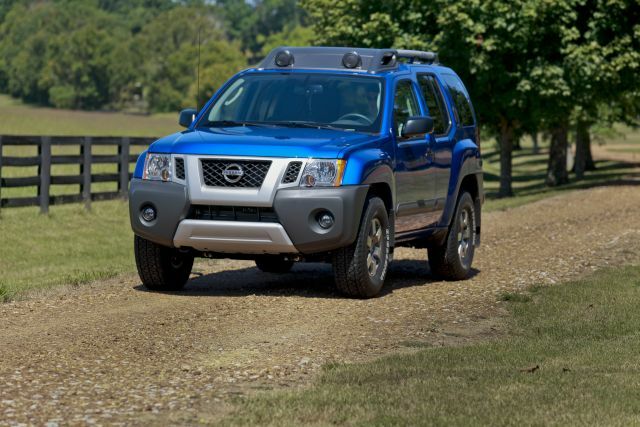 With its bulging fenders, mud-friendly cabin, and big roof rack, Xterra speaks to outdoorsy types who can appreciate its image and overlook its shortcomings. The 4WD system, for example, should not be left engaged on dry pavement. Serious off-roaders, though, can revel in the Pro-4 X’s standard Bilstein shock absorbers, full skid plates, 9.5-inch ground clearance, and electronic locking rear differential. Prices start at $24,545 for the X and $26,555 for the S; add $2,050 for 4wd. The Pro-4 X is priced from $31,475 with manual transmission and from $32,525 with automatic. Celebrating its 50th anniversary, the 4Runner started out as little more than a compact Toyota pickup with an enclosed cargo area and added rear seat. It’s since grown in size and sophistication and was last redesigned for 2014. While most buyers have moved on to car-based crossovers, the 4Runner remains a bold alternative for those who off-road or need to pull a modest-sized boat or trailer (towing capacity is 5,000 pounds). 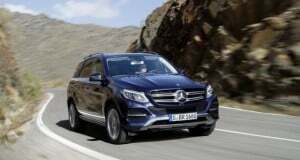 The sole engine is again a 270-horsepower V-6, which struggles to move this relatively heavy SUV with any real verve. Of little assistance is the only transmission, an automatic with just five speeds. 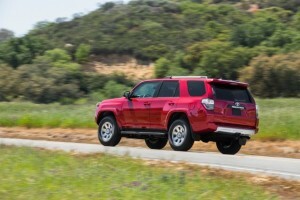 But 4Runner feels big and truck-tough and has earned a loyal following for its dependability and high resale value. The lineup begins with the SR5, priced from $34,095 with rear-wheel drive and from $35,970 with four-wheel drive. Next up is the SR5 Premium at $36,835 and $38,710, respectively. The luxury Limited models starts at $42,470 with rear-drive and $44,505 with 4wd. Two Trail versions are offered, both with 4wd and specific suspension, gearing, and other off-road ready fortifications. 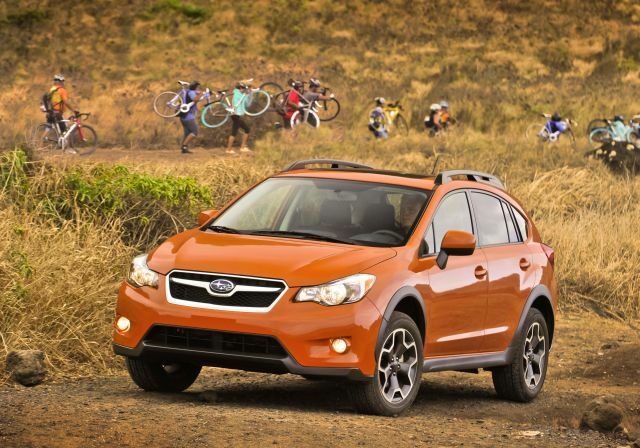 The base Trail starts at $37,000, the Trail Premium at $39,740. New for 2015 is the even more-pavement-shunning TRD Pro Series 4×4; it starts at $42,195. 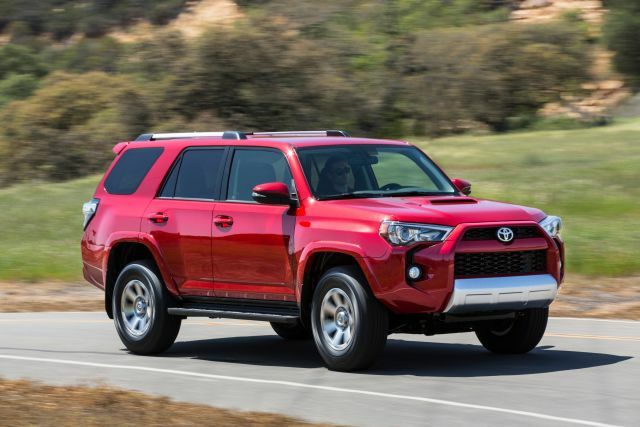 The Limited is the only 4Runner with a 4wd system that, in effect, is on at all times and automatically shuffles power fore and aft as traction requires. The others have a part-time system the driver must engage. It includes low-range gearing and is not for use on dry pavement. It’s supported on the Trail models and on the TRD Pro by a locking rear differential, multi-terrain settings, and crawl control. 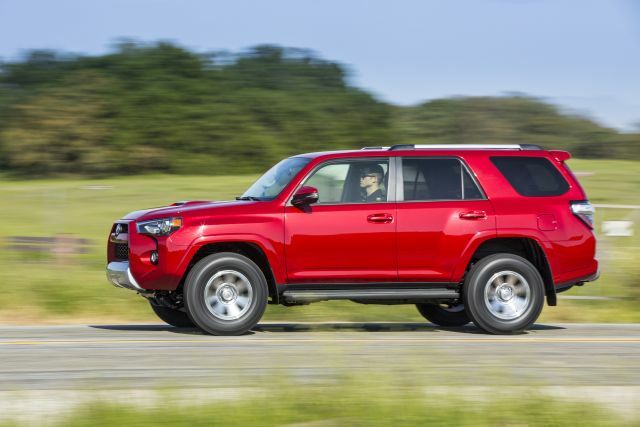 In any configuration, 4Runners rate 19 mpg combined with rear-drive and 18 with 4wd. Optional for the SR5 models and the Limited is a kid-sized third-row seat that increases capacity to seven passengers from five. All but the SR5 and base Trail models come with a navigation system. 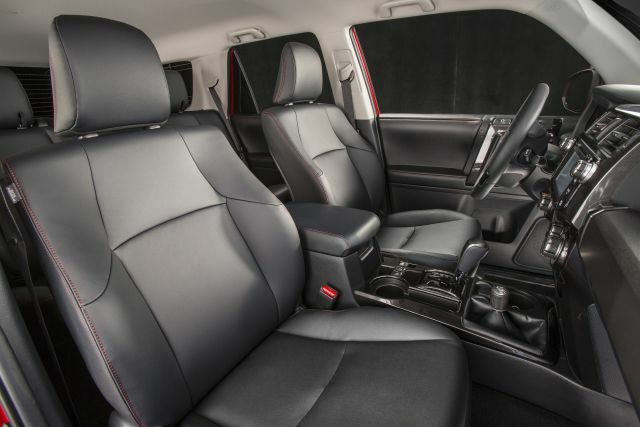 Leather upholstery is exclusive to the Limited. Only the Limited, SR5 Premium, and Trail Premium have a moonroof. It’s a short list, but a tenacious one. These are the survivors, the last of the midsize body-on-frame sport-utility vehicles. Their truck-tough design once defined virtually all SUVs. 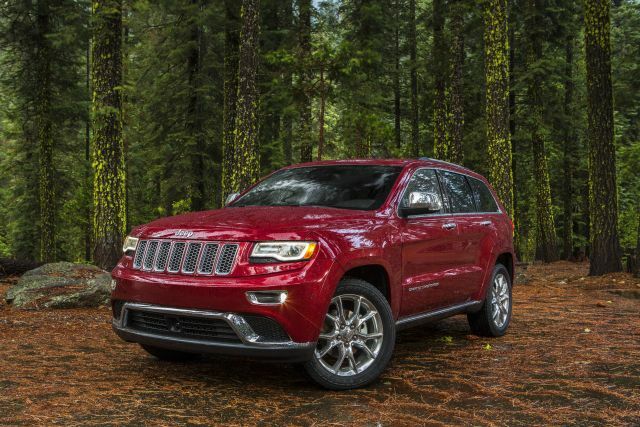 Will The Grand Cherokee Gas Mileage Improvement Be The Only Changes For ’16?